Would your organisation like to take part in the latest fitness and dance phenomenon focused on getting people moving, having fun and making real changes in their lives, changes which will have a knock-on effect to the local community and beyond. Welcome to Street Dance Fitness! You could not have failed to notice the current massive national interest in dance, as reflected in the popularity of programmes like ‘So You Think You Can Dance’, ‘Got to Dance’ and ‘Strictly Come Dancing’. And for the younger generation in particular, street dance troupes, exemplified by Diversity and Flawless, have become a source of inspiration. Doesn’t this fascination with high-octane, edgy street dance seem so at odds with the growing problem of obesity in the UK? That’s what we thought. And Street Fit and Hip Hop Tots was born. Invite us to your charity, school or corporate organisation and we will show your service users, children or employees exactly how to rediscover their love of exercise and get back into shape, through the dynamic medium of street dance. This isn’t a dry, lifeless seminar; it’s a vibrant, fully interactive workshop, taught by fully licensed Street Fit® street dance fitness instructors. It will be talked about for days afterwards, if not longer. Although accessible to all age groups; we have a Hip Hop Tots program particularly aimed at children, designed to make them aware of the positive impact that eating and exercising correctly can have on self-confidence, self-expression and energy levels. A healthy child is a high performing child, more able to focus on their work. 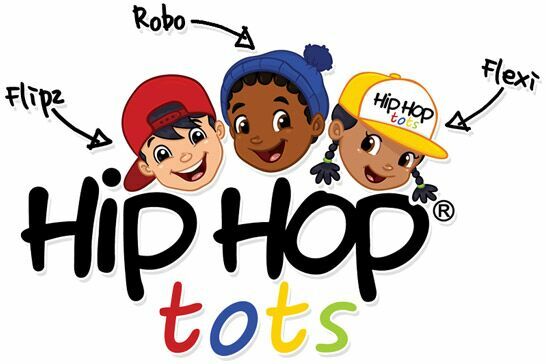 Hip Hop Tots is designed for children aged 18 months to 6 years, and is much more than ‘just another pre-school dance class.’ By blending ultra-cool hip hop dance with music, storytelling and fun props, there is nothing quite like a Hip Hop Tots experience. Friendly and enthusiastic class instructors focus on providing a fully-rounded experience, engaging with young children’s innate sense of fun and play while promoting valuable life-affirming skills such as body awareness, self-confidence and creativity. Most important of all, by making movement fun and exciting, Hip Hop Tots work to instil a lifelong love of keeping active. It’s the best cure for obesity there is – namely prevention! If your event doesn’t fit into any of the above categories, or you’re worried we won’t be able to meet your needs, don’t hesitate to contact us. We can usually tailor the workshops to fit most requirements. The Benefits of a Street Fit Kids Workshop. Street Fit Workshops are very popular explosive aerobic fitness workshops, designed to get children excited about dance fitness and help them learn new techniques! With our high-energy Street Fit routines, you will get a real physical workout and have fun in the process! You will learn the latest hip-hop moves and techniques such as breaking, waving, popping, and locking. At the same time, our licensed instructors will take you through each section of the Street Fit workout: warm up, upper and lower body, cardio, core and cool down. Our Workshops are carefully designed to cater for all ages and levels of ability so no-one will be left behind…or left out. The Benefits of a Hip Hop Tots Workshop. Hip Hop Tots t is the perfect opportunity to learn some basic street dance moves whilst exercising, and its benefits are potentially life-changing, particularly if it promotes a lasting change in lifestyle. Obesity, particularly in children, is a significant and growing problem and it is caused by two simple yet devastating factors – an unhealthy diet and not doing enough exercise to burn off the calories consumed. Street Fit is designed to make burning calories and exercising fun and engaging for all. With the high profile arrival of the 2012 Olympics to our shores, there has never been a better time to promote sport, dance and fitness and change the course of our young people’s lives. All facilitators are CRB Checked, Public Liability and a Child Protection Policy in place to safe guard vulnerable people? Participants will get the opportunity to learn and reproduce the skills they have gained in the Street Dance Fitness Workshops, leaving them feeling enlightened, confident and inspired. We don’t just provide workshops; we provide an experience you will never forget.